The secret of “acting idol” for Jung Jin Woon and Park Ji Yeon in Dream High 2? Standing or sitting just stick to the script. 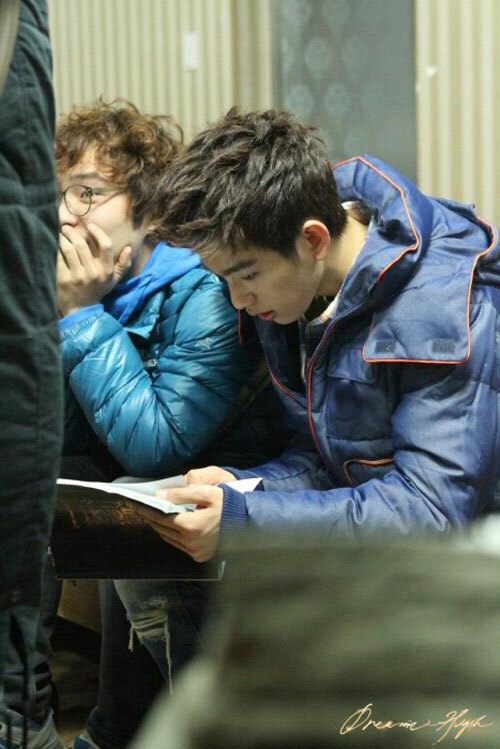 The still photos of actors of Dream High 2 seriously studying the script were made public. On February 17th, 2012, the producers of Dream High 2 released the stills of passionate actors on the scene. In the stills, Kang So Ra, Jung Jinwoon, Jr., Park Ji Woon were reading the script in different locations.